Singer Barry Manilow has been going strong for 40 years, but he recently revealed that he suffers from a heart condition called atrial fibrillation. Manilow says he wanted to go public with it to help others and raise awareness about it. Atrial fibrillation, better known as A-fib, makes your heart beat abnormally, out of rhythm. As CBS News medical correspondent Dr. Jennifer Ashton reports, 2.5 million Americans have A-fib. At an age when most people retire, Manilow shows no signs of slowing down: He has sold 80 million albums and performs hundreds of concerts a year to sold-out crowds. But 15 years ago, he suffered an episode that changed his life. "I was driving home and I felt my heart skip a beat. Well, your heart skipping a beat doesn't sound like it's anything serious, so I didn't pay much attention to it. And then it went blump-bla-bla-blump," Manilow remembered. "And it got crazier and crazier, I felt like there was a fish flopping around in my chest." "I called my doctor and said 'What is this?' He said 'Come on in,' and he knew exactly what it was. 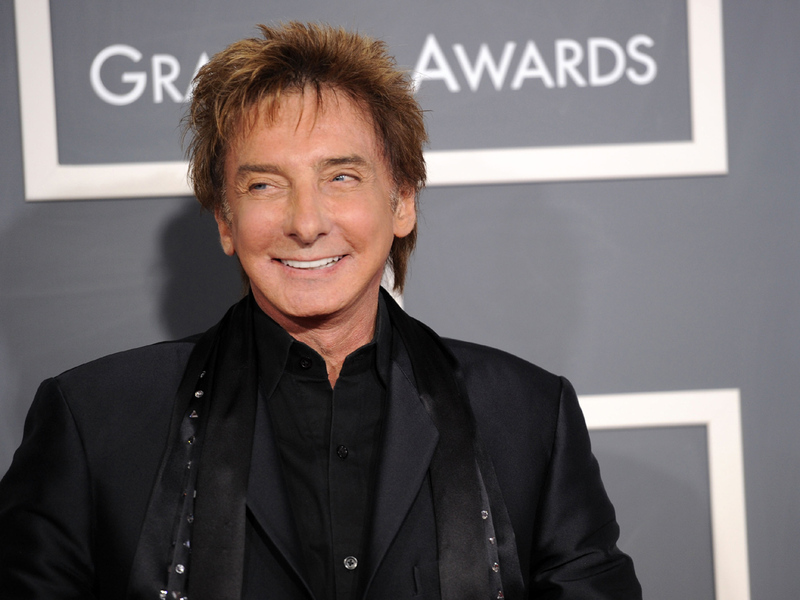 It was atrial fibrillation," Manilow says. he added. "I think it did scare me half to death because, you know, 'Really my heart, there's something wrong with my heart?' But he said not to worry about [it], 'It's really good that you called us because that's what you've got to do.'" A-fib occurs when the upper chambers of the heart beat faster than the lower chambers, causing an irregular, racing heartbeat. Since his diagnosis, Manilow uses one of his biggest hits ("Copacabana") to tell him when his heart is beating to the right rhythm. "Your heart should feel like this -- here's the beat of your heart," he said, tapping his hands on a bench. He told Ashton that the beats in the song sound like a regular heart beat, but that A-fib has a different beat. "Atrial fibrillation is ... my version of rap, that's what it feels like. Your heart is going crazy," he said, laughing. "I can't remember one time where I've been on the stage and I felt that. But I do remember one time that I was scheduled to do a show with the Boston Pops for July 4th, and I got up that morning and I felt it kick in," he recalled. "So I went about 11 in the morning to this hospital and they said, 'Yes, Mr. Manilow, you're in A-fib, you're out of rhythm and we have to stop it,' which is the paddles, you know, 'Clear!' Bang! You know, they have to stop it somehow." "And I did the show that night, and nobody was the wiser," he added. "I take my medication, and it calms down, and I go on with my life." But when it doesn't stop, he told Ashton, he needs electrical cardioversion -- the paddles. Manilow has been hired to help launch a campaign to raise awareness about A-fib, and he works closely with his cardiologist to keep his heart healthy. "I didn't want people to think, 'Oh, he's got heart this and heart that' I'm OK, because I take care of myself. Don't worry about me. The reason I'm doing this is I'm worried about you. I'm worried about all these people that have this and not taking care of themselves so, yeah, I'll take the responsibility of talking about it. I hope I can help somebody with this," he added.